The deployment of automated material handling (AMH) equipment prevents damage to automotive parts, reduces the cost of unproductive labor hours by efficiently handling inventory, and maximizes storage capacity within available floor space. The automotive sector has taken the lead in AMH equipment usage – such as Automated Guided Vehicles (AGVs), automated storage and retrieval systems (AS/RS), automated conveyors, cranes, and robots – to fulfill these requirements. In a mature automotive industry, continuous process improvement is not dead; there are cost efficiencies that have not yet been exploited. The Industrial Internet of Things (IIoT), Big Data, and Industry 4.0 initiatives enable most of the world’s most successful automotive manufacturers and parts producers to drill ever deeper into operational improvement. Efficient AMH in the automotive industry – in particular, the elimination and utilization of Fork Truck Free (FTF) environments – harvest significant savings. The costs associated with a forklift typically exceed $200,000 per truck per year, and labor costs exceed $180,000 per truck per year for a three-shift operation. Truck acquisition costs can average $30,000+ per year, and maintenance costs (including damage repairs) can average $3,000-$8,000 per truck per year. Additional expenses must also be considered, including energy (battery/electricity or LPG), which can run up to $5,000 per truck per year. Finally, safety administration (training, checklist management, accident investigations) usually exceeds $1,000+ per truck per year. Besides forklifts, the costs associated with labor, equipment, and maintenance of any powered industrial truck (manual tuggers, manual carts) and conveyors are high, whereas AGVs provide more safety, flexibility, less damage, as well as an on-demand system. Driverless AGVs and FTF initiatives start with safety, cost efficiency, and 24/7 flexibility. With a lean manufacturing environment pioneered in the automotive sector, there is little wonder why the cost/waste inherent to fork trucks is being eliminated by AGVs and mobile robots. In many countries, powered industrial truck operators must be trained and certified to operate the trucks. With labor shortages and limited numbers of trained powered industrial truck operators, AGVs are much preferred, particularly in the automotive manufacturing sectors. Forklift training in the US is governed federally by OSHA. The standard requires employers to develop and implement a training program based on the general principles of safe truck operations, the types of vehicles being used in the workplace, the hazards of the workplace created by the use of these vehicles, the general safety requirements of the OSHA standard, and workplace evaluations to check operator competence. These time-consuming evaluations are never needed with self-driving vehicles, and similarly, refresher training courses are never needed to ensure the safe operation of AGV trucks. Forklift safety is subject to a variety of standards worldwide. The most important standard is the ANSI B56 standard, which covers safe industrial truck and forklift operations (with drivers and driverless) – of which stewardship has now been passed from the American National Standards Institute (ANSI) to the Industrial Truck Standards Development Foundation (ITSDF) after multi-year negotiations. Other forklift safety standards have been implemented by the US Occupational Safety and Health Administration (OSHA), VDI in Germany, the UK Health and Safety Executive (UK HSE), and EN norms in Europe. Given the rapid adoption of Industry 4.0 initiatives by automotive and C-suite executives, there is still a disconnect with crisis management often experienced on the plant floor. Second-shift supervisors fail to show up, conveyor systems fail, and poor delivery timing interfere with effective material flow. Robotics and automation engineers appease both the C-level executives (who are insisting on implementation of new Industry 4.0 strategies) and the supervisors and manufacturing managers who are dealing with the real-world urgent production realities of the plant floor. Analytics help automotive manufacturers reduce costs and rethink industrial engineering standards. They help enforce best practices in forklift safety, leading to an 80 percent reduction in accidents and damage costs. Whether or not companies are fully or partially FTF, utilizing IIoT analytics provides key performance indicators (KPIs) for multiple safety metrics, including the rate of impact events per vehicle motion time, the rate of vehicle lockouts due to critical safety issues, and the rate of vehicle lockouts due to failure of operators to complete safety checklists. Analytics are then used by robotics and automation engineers who drilldown from an enterprise view, through site data, all the way to detailed statistics regarding individual operators. This allows automotive management to identify the safest (and least safe) operations, as well as targeting training and disciplines where they are needed most. 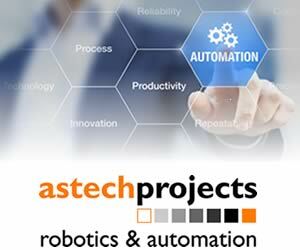 Robotics and automation engineers develop manufacturing output analyses, inventory storage layout, material flow spreadsheet calculations, and material flow simulation modeling. Additionally, Industry 4.0 imperatives require detailed material flow analysis to ensure that all manufacturing elements are delivered at the right place at the right time, every time. One of the cornerstones of a successful AGV system is an accurate calculation of how many vehicles will be required to perform the maximum flow for a peak hour. An accurate analysis of the material flow starts with detailed knowledge of what materials must be moved to support operations. Material pickup locations, drop-off locations, required timing, and frequency are all critical factors that determine whether automated material delivery systems will adequately support automotive and industrial manufacturing needs. Also, the flexibility in which production equipment and processes can be laid out in a factory are critical factors to enhance process efficiency. AGV engineering studies help industrial manufacturers evaluate current and future goals to develop an automation plan that will maximize returns on investment (ROIs). Leveraging persistent installation success includes many applications that use standard and custom vehicle types across key industry segments. Robotics and automation engineers analyze production data to accurately define material storage and flow requirements, as well as to review facility layout, in order to recommend process improvements. Working with experienced AGV vendors with strong engineering teams ensures a comprehensive evaluation of potential vehicle types, distances, speeds, and battery-charging strategies to develop an accurate vehicle count and supporting system for achieving the material handling goals. Estimating systems throughput, by using sophisticated computer models, allows complex manufacturers to simulate system operations. 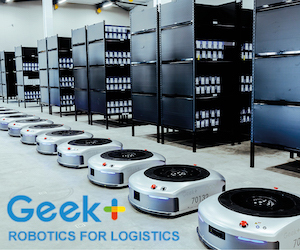 Robotics and automation engineers understand that the required AGV space must include an analysis of logistical flows and layout, dynamics and analytical mechanics, prototype and high-volume mechanical design, as well as embedded software architecture and development. Additional engineering includes industrial, mechanical, and electrical fabrication. Robotics and automation engineers are well-versed in the interface used in factory infrastructure systems (stations, sensors, fire alarms, door, and material flow). The benefits of Industry 4.0 must be integrated with AGV user interface, system integration, and testing (including process automation). Author profile: Carien Viswat holds a master’s degree in civil engineering from the Delft University of Technology in the Netherlands. She is a senior sales consultant for the AGV division of Oceaneering International.